Despite the advent of modern and digital communication modes like mail and live chat, the importance of telephony in the customer support industry has not diminished. Most companies still offer helpline services along with other support channels for their customers. 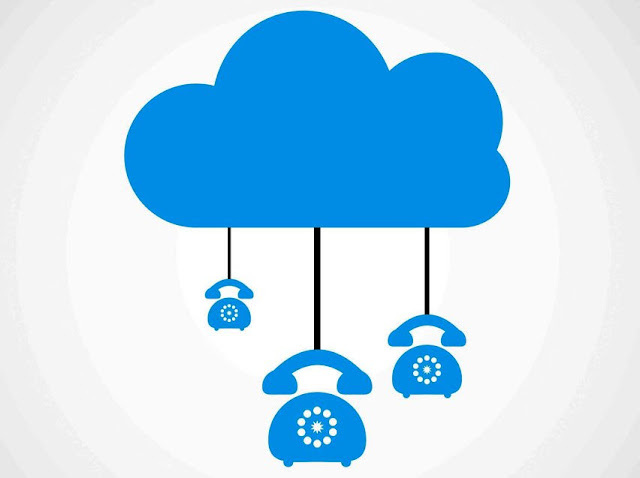 However, the traditional landline phones are being replaced with cloud-based telephony systems – all over the world. Switching to a virtual phone system can be really beneficial for your venture, irrespective of the industry and size of the venture. The VoIP technology has matured a lot since its inception decades back and you can use it instead of traditional telephony. However, it’s important to choose the right solution and focus on the safety aspect. While using a VoIP system is advantageous for any organization, you have to look at the security aspects too. This is important because, with technological progress, newer risks have surfaced too. Hackers and miscreants are exploiting technological loopholes and instances of online profiles hacking and virtual communication channels getting compromised are quite common nowadays. The virtual telephony system you use has a password for safety. Ensure you choose a strong and complex password for accessing the UI. It would be a mistake to keep using the system with a default set of passwords! Choose a password with a combination of uppercase, alphabets, and numbers and special characters. Never use a password that is easy to guess for others. It would also be a good idea to alter the password for system access every few months. How the cloud telephony system will be implemented in your company depend on the type of organization and workflow. For example, a company dealing with food delivery has different requirements than an IT sector company. In all cases, the telephony system may not be connected with the company’s internal data system. It is good if the company’s VoIP system is safeguarded by a firewall. This will ensure the network can’t easily be taken down with hacking exploits. It will get an additional layer of safety as well. Based on budget and needs, software and hardware-based firewall can be chosen. Like the age-old saying” Prevention is better than cure” – companies deploying virtual PBX setup can resort to safety measures that alert them before attacks jeopardize the entire system. This is possible when you deploy suitable intrusion detection system. An IDS can detect changes in the configuration and weird developments in the setup. A network intrusion detection setup can also be helpful to sense attacks on the network. It can also detect unusual network traffic volume. The virtual telephony system is mostly web-based and runs inside web browsers. In some cases, it integrates with the operating system too. So, it would be a good idea to bolster the safety of the virtual telephone setup by updating the OS. Most operating systems, including Open Source ones, get updates from time to time. You should check for OS updates and security patches periodically. Install these updates when those are available. The same can be said about web browsers, and browser makers release new versions with security vulnerability fixes. Keeping the browser updated can safeguard your virtual phone system from new attacks. Much like the OS, the VoIP software also needs to be updated periodically for enhanced security. The firmware updates for Hardware-based SIP phones as well as software updates for cloud telephony systems are made available by the vendors. These updates enhance security and functionality of such software solutions. You may set automatic updates in the settings or opt for manual updates or notification. Modern VoIP setups and software solutions make it possible to consolidate all types of telephony services and devices under one umbrella/interface. It actually makes things simpler for the organization. Using virtual PBX systems, you can integrate existing landline and mobile phones used in the organization with VoIP –under one UI. The system can be tweaked to prioritize types of network. The callers may be directed to landline first, then to mobile phones and VoIP may be offered as the last option. The hierarchy may be changed as per company needs. Most virtual PBX setups integrate with mail software. These can be helpful for fetching customer data in a jiffy as they call your company. As the call is received, the caller details are matched with that of existing customers in the CRM database. This can be helpful for the support agents too. Most modern virtual telephony systems come with customizable intelligent call routing facilities. This way the important calls can be routed to apt numbers instead of keeping in IVR queue. For example, if anyone in the top management team calls – there is no point in keeping him/her waiting in IVR loop. Intelligent call routing features can be set for specific numbers. The same protocol can be set for existing important customers of the company. These software solutions also have provisions to enable call conferencing and call forwarding. Nowadays, internet connection price has gone down and at the same time, internet access speed has increased significantly. So, it will be a good idea to keep a backup internet connection ready. This will ensure your VoIP system does not run out of network at all. If the primary internet connection falters or speed goes down for some technical reason, the VoIP can be redirected to the secondary or backup internet connection. This way the customers will not have to face problems and service issues will not crop up. Apart from the ISP chosen, the network type used in the company and configuration settings can affect VoIP performance eventually. The networking hardware peripherals, types of cabling used and routers are important here. Ideally, you should get the network set up by expert administrators to ensure the VoIP setup does not get affected by slowdown or latency. This is applicable for both wireless and wired network. It is important that you invest in the right VoIP solution for the company. Use the below-listed tips to zero in on the apt VoIP solution. You should check out the available VoIP solutions well. Compare the services and check the viability of each for your company needs. Most virtual telephony service providers will let you try their solutions free for some time. Then, you can invest in the aptest solution. Additionally, you can also go through the reviews of such software solutions online. The feedbacks of existing software users can help you decide. It is also necessary that you look at the viability of switching to such a virtual telephony system. You will also have to think of possible hardware and software compatibility issues before selecting the software.